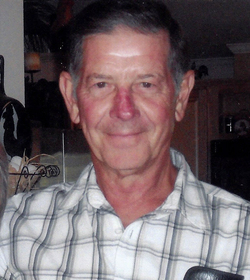 Thomas Anthony Adamietz, age 73, was called home by his Lord on June 2, 2018. Tom passed away peacefully surrounded by his family. Tom was born May 8, 1945 to Henry and Dorothy (Mazurek) Adamietz. He graduated from Bandera High School in 1963 and shortly thereafter began his career as a machinist at Gary Aircraft Corporation and continued his trade at Turbine Support, Anthony Machine, and Southwest Research Institute. Tom retired from Southwest Research Institute in 2010 after having worked on over 25 projects during his 23-year tenure in the Division 15 Model Shop. 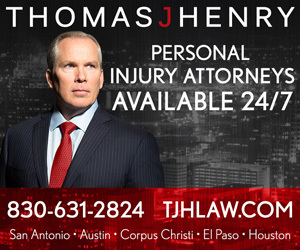 In addition, Tom served as an MP in the Texas Army National Guard. He enjoyed fishing, hunting, dancing, and spending time with family and friends. Tom never met a stranger and always had family and friends laughing with his unique way of expressing himself. Tom is preceded in death by his wife of 17 years Bernice (Rakowitz), parents Henry and Dorothy, and sister Bernice (Rios). Tom is survived by his daughter Krissi, son Kenton and wife Patty, step-daughter Lisa Randolph and husband Bobby, and grandchildren Kenton and Krystal Adamietz and Josh and Hannah Randolph. Also surviving him are his siblings Raymond, Sylvia (Colburn), Margaret (Duff), Dorothy, Rita (Barnhouse), Connie (Rodriguez), Henry, and Bryan, as well as numerous cousins, nieces, and nephews. Visitation was conducted at Hurley Funeral Home in Pleasanton on Friday, June 8, 2018 from 2 – 9 p.m. with a rosary recited at 7 p.m. A funeral Mass was celebrated on Saturday, June 9, 2018 at 10 a.m. at St. Andrews Catholic Church in Pleasanton, interment followed at St. Andrew Cemetery #2. In lieu of flowers the family ask that donations be made to St. Andrew Catholic Church. For anyone wishing to leave condolences for the family, share memories or sign the online guestbook you may do so at hurleyfuneralhome.com.